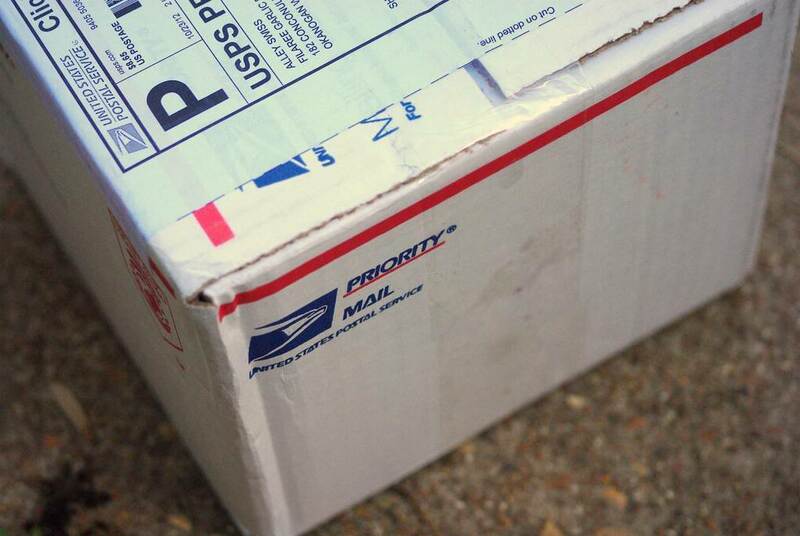 This box arrived earlier in the week, but I didn't get around to opening it until yesterday. 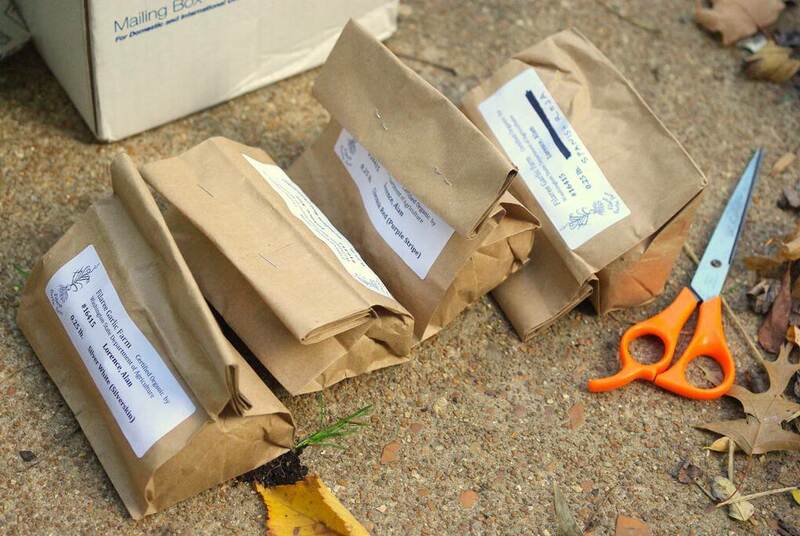 I wasn't worried about getting the plants out of the package right away as I normally would be, as there are no plants in there -- it contains my seed garlic! 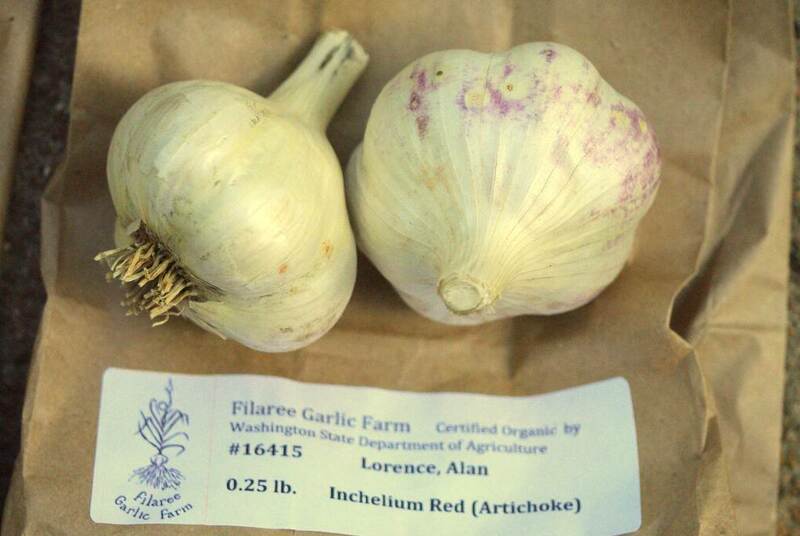 I ordered this at least three weeks ago, selecting "mid-October" for delivery, as that's the right time for planting garlic in my climate. 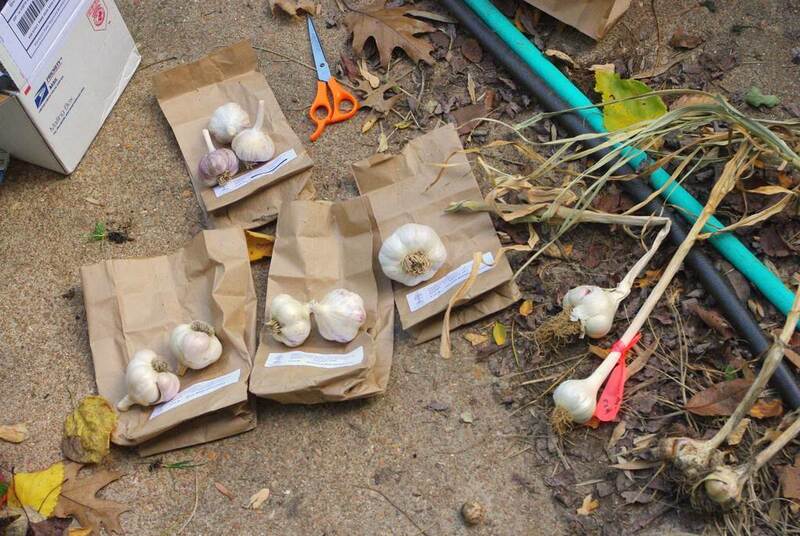 End of October is fine too, as my one year of garlic-growing experience has taught me. 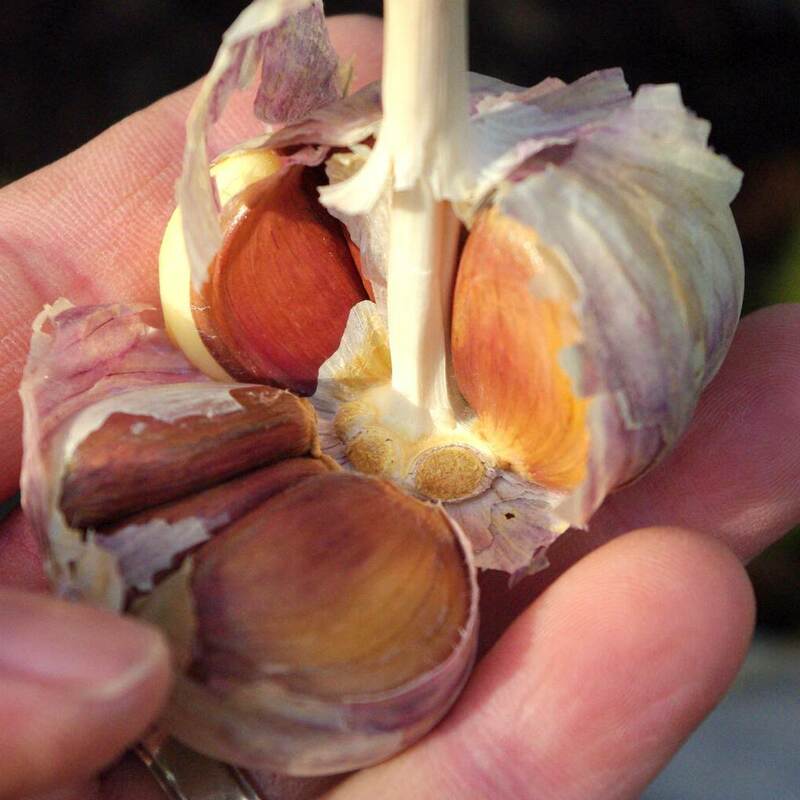 There are so many different types of garlic, I chose a "small garden pack", which is a sampler of four different types of garlic. 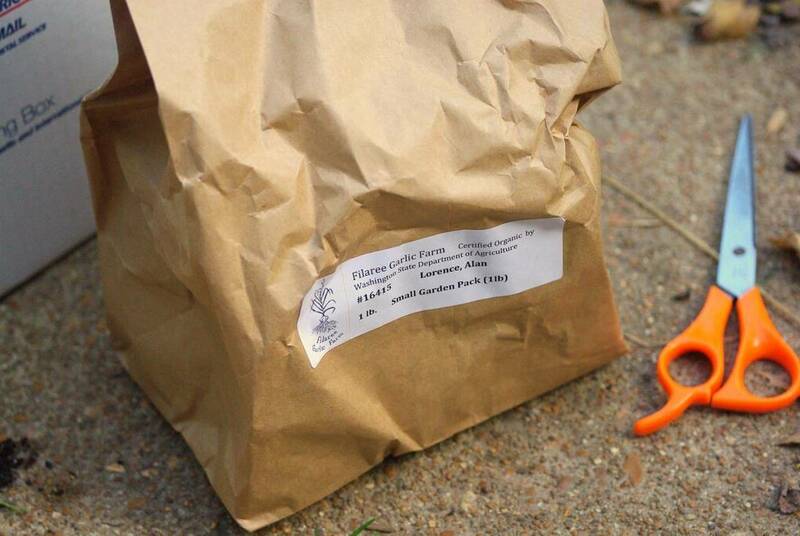 I didn't get to pick which varieties they sent, but that's fine for me this year -- I don't really care. 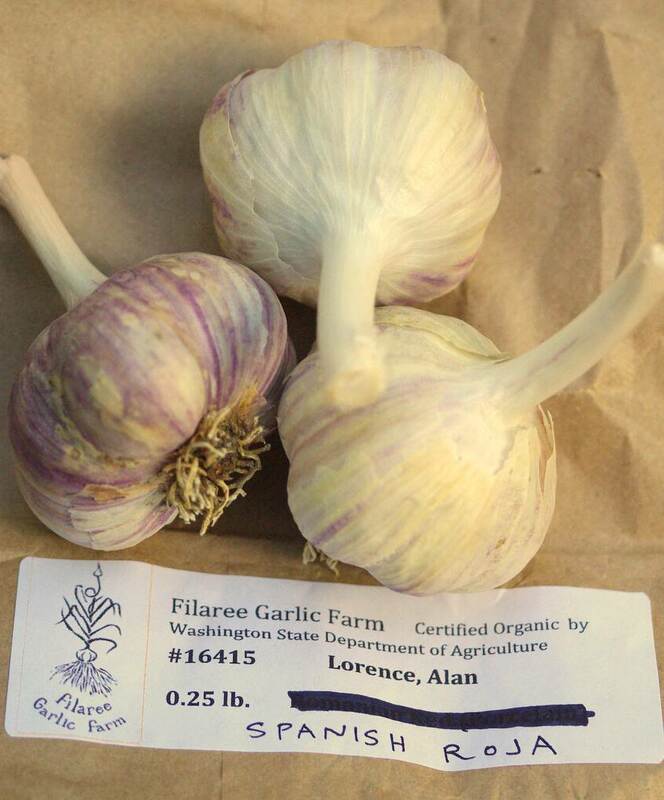 Incidentally, I ordered from Filaree Garlic farm in Washington state. You can see that I didn't spend much time cleaning them. The heads I harvested are much smaller than the heads that I bought -- I'll see how things go this year, but I may not be getting enough sun over here, or maybe I didn't water enough this past summer. Or maybe the soil wasn't as good as I thought it was. 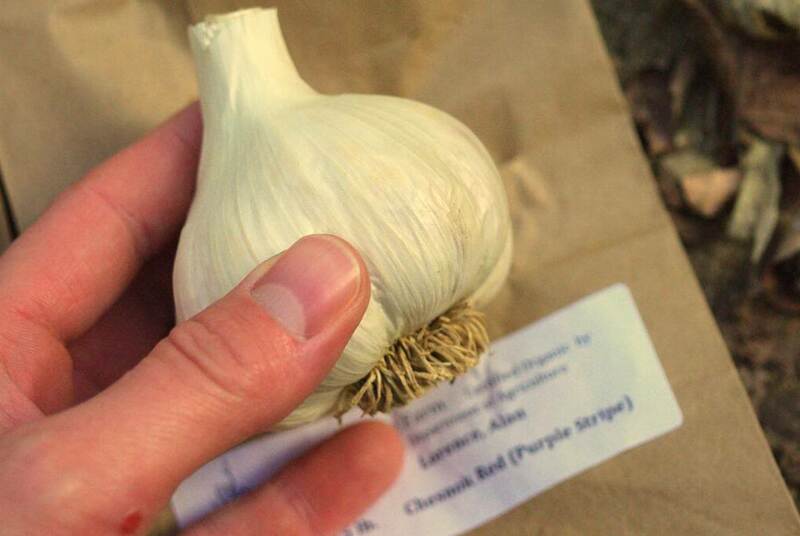 So that's all of the garlic I have to plant -- let's plant it! Not sure where to put it exactly. 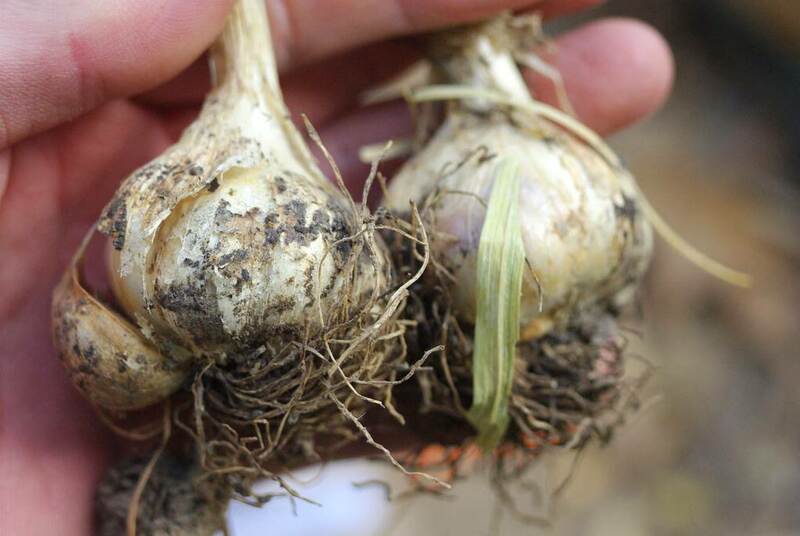 I have a couple of small beds in front of the fence that I used for garlic and onions last year, but I've learned that I don't want to put garlic in the same place every year, as that increases the chances of white rot and other fungal issues. So crop rotation is essential, meaning I have to plant somewhere else this year. 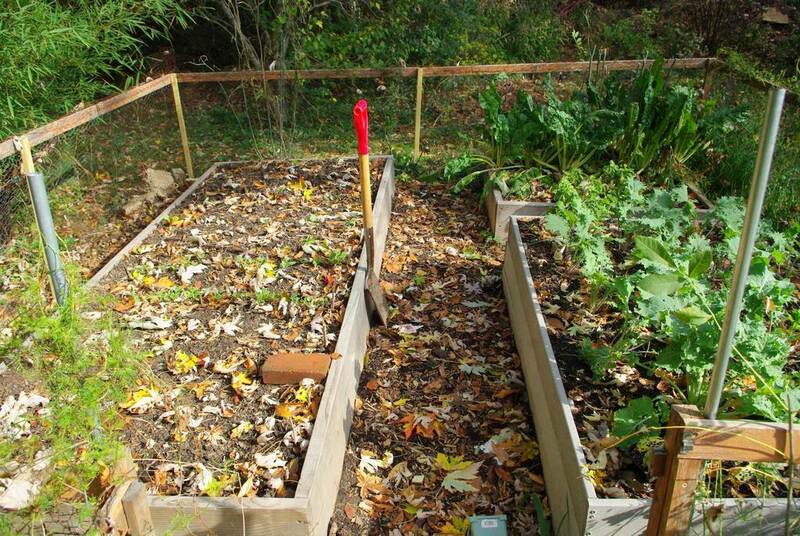 My only choice is in my raised beds, and since the front beds (on the right in this photo) are full of kale and Swiss chard, it will have to be the back bed. Unfortunately there are some seedlings in the middle of that back bed, so I can only plant the two ends with garlic. For my own records, I planted two rows of Spanish Roja on the west end of the back bed, then two rows of Silver White. 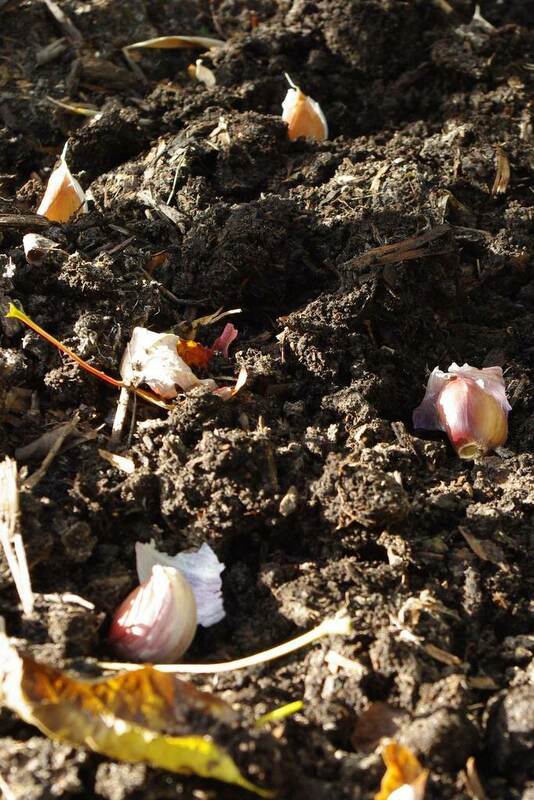 Then in the east end of that bed I put two rows of Chesnok Red then one row of the garlic from my garden last year. I needed more space, so I used half of the small bed that contains the chard, putting in one row of Inchelium Red on the west side, and one row of Creole Red on the east. 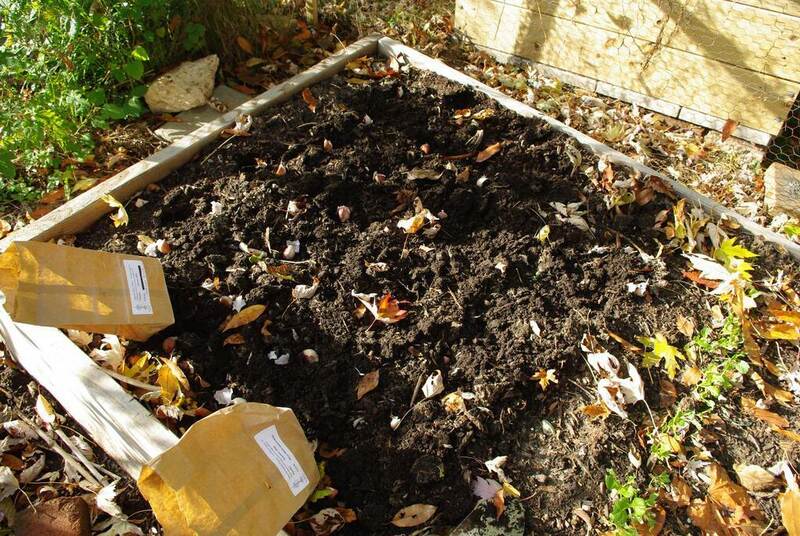 The cloves go in pointy side up, and I laid them all out before sinking them a couple of inches under the soil. I have extra cloves, so I wish I had more space. I think I'll extend the outside-the-fence beds quite a bit, and use that for garlic and other deer-resistant edibles. 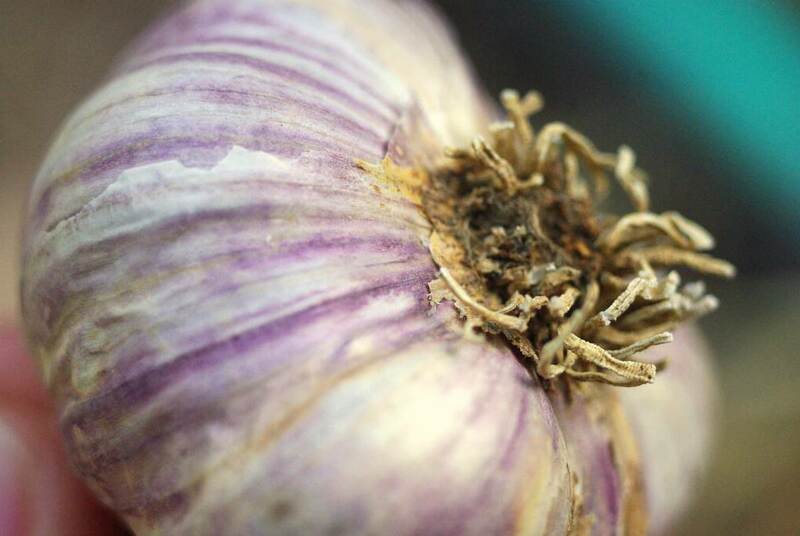 I'm not sure that I'll get to it in time for planting more garlic this year though. Maybe. 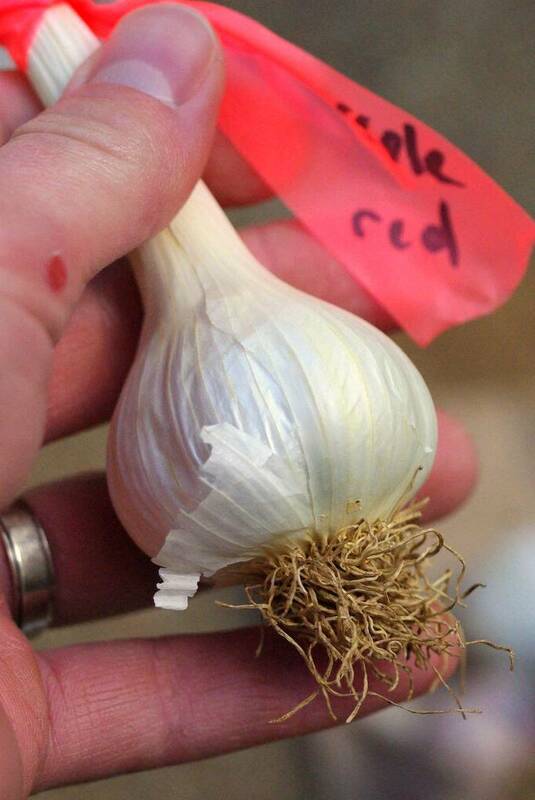 Now it's just sit back and wait for the garlic to start growing. I've found that garlic can be planted right along with the bamboos as long as it's not in a shady spot, and they can literally be planted in the lawn as well. 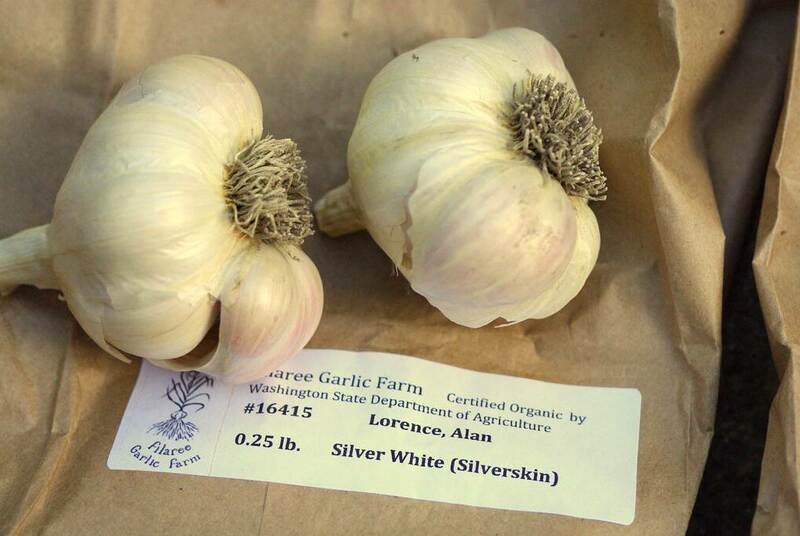 1lb of garlic is only around 70 cloves. Mmmmm...garlic...yummy!!! Garlic bread, garlic salsa, roasted garlic....num, num! 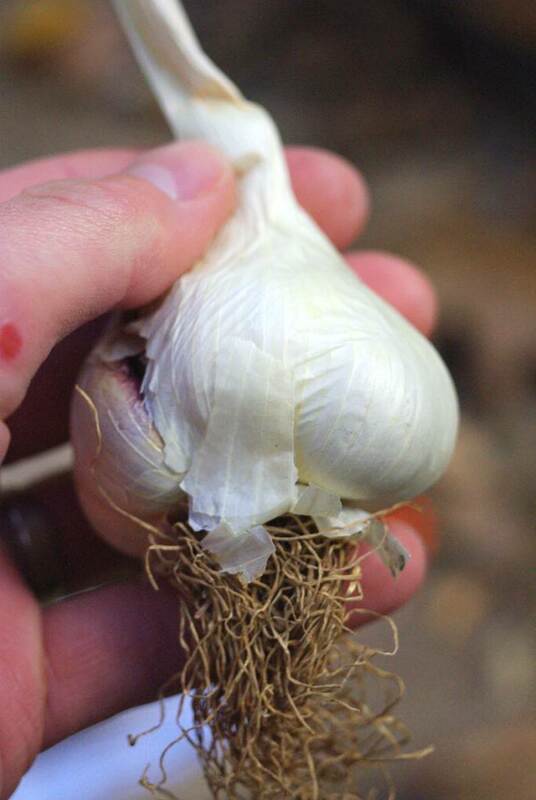 I love growing garlic. I find it to be a real 'set and forget' crop. Very forgiving if I get slack, and productive. I have half a dozen different varieties planted in patches around my garden this year, and I think I might be able to start harvesting them in about a month or so. 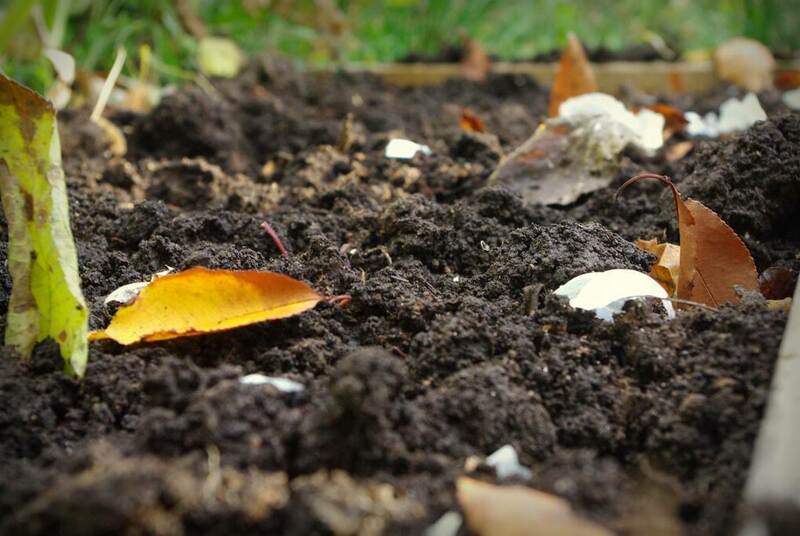 Steve: I wish I had the right type of soil so I could plant garlic anywhere in my yard, but it has to go in prepared beds. I didn't think about planting it along with some bamboo though -- that's a great idea, because I have one planting area that's perfect. Thanks! David -- There usually is a gathering on the first Saturday of each month. I don't know for certain about this Saturday though.